Welcome back to the Frusterio Design Blog. Today we want to share with you the benefits of having a well thought out grand foyer. In designing a home many owners think first of the kitchen, the master bedroom, or the outdoor living space. But, the foyer plays an important role in the home as well. Welcome back to Frusterio Design blog! Today, we would like to welcome you to one of our most magnificent designs to date. 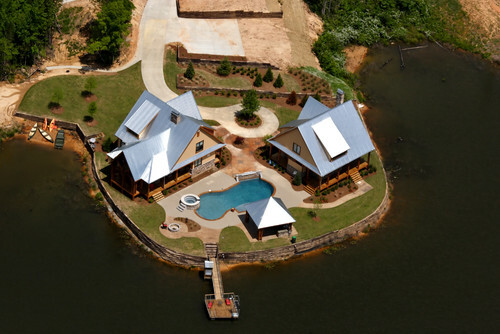 This lovely lake cottage retreat is located right on the water and features all the best amenities in outdoor living. Happy Friday! To welcome the weekend today, I would like to share with you some of the most lavish and lovely closets Pinterest has to offer! Which one of these fits into your dream home design?